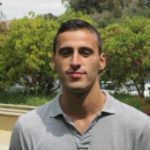 Emanuele Colonnelli is a PhD candidate in Economics at Stanford University. His main research focuses on corporate finance and development economics, with a special interest in innovation and the constraints to firm productivity and growth. He is currently working on research projects in Brazil, Ghana, Uganda, and the U.S, he has research and work experience in several other countries including Bangladesh, Malawi, and India, and he is the recipient of a number of grants and awards. He holds a BSc in Economics from the University of Siena, an MSc in Economics from Bocconi University, and he spent an academic year visiting Pembroke College, Oxford University. Prior to joining Stanford, he worked as a researcher at IGIER (Bocconi University) and as director and founder of a non-profit organisation.